IndiansinKuwait.com - Cruising Stole MY HEART. 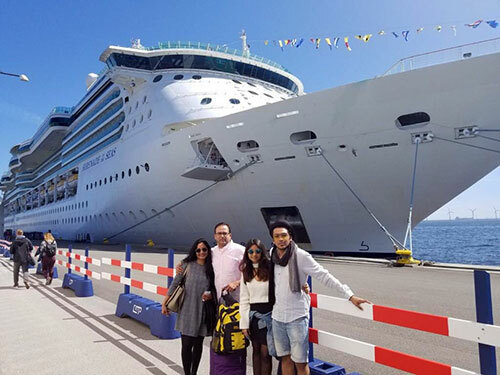 Scandinavian Country & Norwegian Cruise tour (Serenade of Seas – Royal Caribbean), Many people were curious to know about the Cruise, hence this travelogue. Happy Cruising. Landed in Copenhagen in the morning at 9:45 am, took around 40 minutes’ taxi ride to reach Cabin City hotel. As the name goes, literally only cabin space, was bit taken back looking at the space but I guess that’s what they mean when they say “All you need to Sleep”. All you need to do is get out and walk, check into your place of interest and take the mode of transport. Less than 5 min is the central train station and also the bus stops, you choose and go around. For the ticket you buy you can take a train or bus, so cool right?? Also, if you are really adventurous type, you can opt for the cycle for 140 Danish Kroner (DKK) for the whole day. Took a harbor boat ride to know all about Danish culture and tradition taking us back to Monarchy and their ruling days. The boat ride covers basically the towns on both side of the river, wherein you can see how the old and new architecture blend. Keep walking along side of harbor and watch the palace, monuments and you will reach Nyhavn. 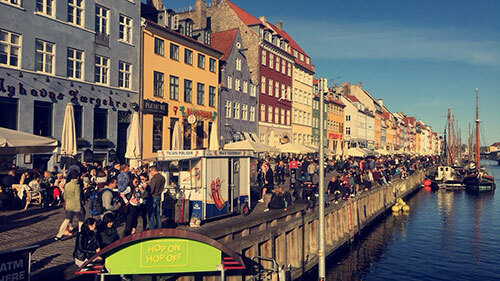 Nyhavn is literally how we always see in postcards of Copenhagen very colorful conical old buildings, picturesque harbor with old sailing ships bobbing on the canals water, and colorful facades of old houses is the best place. You can grab a chair on those street cafes, bars and restaurants or just simply sit anywhere around the waterfront over some beers. A train from Copenhagen central station to Malmo-Sweden, took exactly 45 minutes to reach, highlight of the train journey is the Oresund Bridge which is one remarkable landmark built to connect two countries; the train goes through the Oresund bridge and then suddenly disappears inside the underwater tunnel. Had amazing feeling that we are in another country within a span of time with such leisure train journey. Malmo is small and beautiful old town with modern touch. 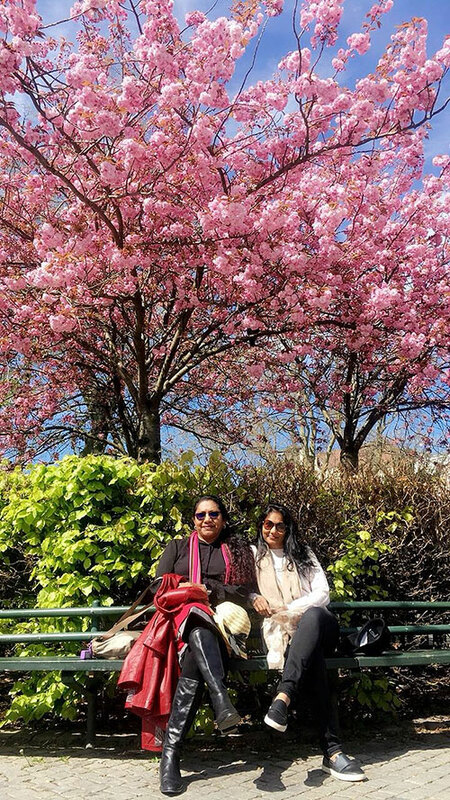 We were lucky to have a Bright and Sunny day and the town was all bloomed with Tulips in different colors which was delight to watch with few Cherry blossoms trees. Came back to Copenhagen on the same route. Took a cab to reach the Cruise Terminal. As we were approaching the terminal we could see our Ship docked which was a sight with full of excitement not knowing what’s next, but everything was so perfect and well organized. You check in to the terminal with your baggage tags as the same is already allocated to you by mail and then put your baggage’s in the conveyor belt which will come to your allocated deck room upon boarding the cruise. Stand in line for the check-in and you get your boarding card to enter the cruise. We walked through the bay and took lots of picture, boomerang in front of the gigantic cruise, totally stunned, our home for the next 7 days. As we entered after the security check, we reached Deck 4 (where our state rooms are located) all of us were kind of awestruck seeing the centrum of the deck running our eyes up down right left and feeling so blessed at that moment. Exactly at 1PM as mentioned, we were got our stateroom with king size bed, 2 seater sofa, TV, dressing table, wardrobe area, and of course with Pullman beds, these are hidden in recesses in the wall or ceiling and are put away during the day and opened at night for our teenagers. We were guided to Windjammer the banquet room for lunch. I cannot express the buffet spread, total feast with Continental, Asian, Mediterranean, Italian, fast food open counters, drinks and desserts. Food is the main highlight of Royal Caribbean cruise as I heard and now I experienced. A safety drill was conducted for all the passengers, with each one assigned one meeting point as per their decks. After the drill, now it’s time to discover the cruise and what the cruise has got to offer. Amazing ship of 13 decks with Deck 1 above the Engine room solely for crew accommodation. Deck 2, 3, 4 contains Staterooms. 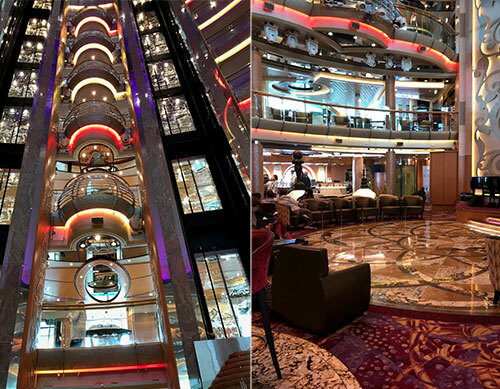 Deck 5, 6, 7 has all the entertainment and activities zone. Deck 7, 8, 9 and 10 again Staterooms, Deck 11, 12 and 13 covering the Dining area, Open Deck with outdoor and indoor Swimming pool, Rock climbing, Jogging track, Club house and well equipped Gym. Main Centrum which is the most happening deck with music, bands and other entertainments. Also, Reflections restaurant wherein your table is fixed to have all meals but they have time limits. Café, Shopping area which includes souvenir, bags, few clothing, jewelry, watches, studio, painting display from various artist and also if you want to buy there are auctions for the painting as well. Basically the sailing day is like to spend the whole day on the cruise with all the activities arranged inside the cruise, you can go to Gym, sit in Sauna or just walk in the walking track in upper deck in the middle of the sea which is an amazing feeling early in the morning or be in the swimming pool or just simply sit in Jacuzzi with a cocktail in hand. Watch a movie in open theatre pool side. If nothing then jus rest your back for Sun bathing, reading. Lot of other activity, do go through the cruise compass for all the programs arranged inside the deck. Evening by 6 there is live band music right through the night. There are few cozy restaurants and bar you can just go sit and play cards or play scrabble. Cards and other monopoly games are available there for your service. There is spa to pamper yourself if you want to rejuvenate yourself, but trust me you don’t need because the cruise itself will rejuvenate you. There is also shopping with sale happening every now and then. Highlight of the day Captain Parade: The captain of the ship introduces himself along with his core team heads of the cruise and tell us all about the cruise in brief. Wonderful feeling indeed to know the crew and the people working on board. Sunny Day Smiley day - woke up in a new place, after full 1 and half day of sailing from Copenhagen, the ship docked at our 1st stop at around 6:30 am. Waited for customs clearance till 8:30 by which time we had our breakfast to heart’s content. Immediately after stepping out of the cruise we went around checking on the excursion options, took another small cruise with open deck of 3 hours to see amazing breathtaking mountains and to discover the Fjord Lysefjord area and famous mountains plateaus like Preikestolen “The Pulpit Rock” that is like the clip of mountain, if you want to go there on the top then, there is one special package but keep 5-6 hours in hand. We didn’t have that kind of time since, we had to return home yeah to our cruise at 5.30 pm. Fjord cruise ride was truly amazing Cannot express what our eyes captured, water falls, small villages around, granite mountains shining all through, unbelievable creation of nature. 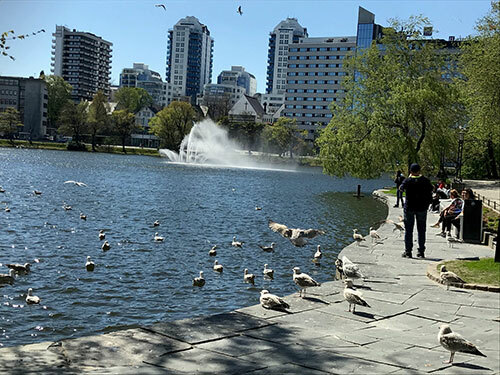 Once you are back, you can explore the city, rather waterfront city on open-top, double-decker or single deck bus that features audio commentary as you ride. The bus makes 50-minute loop, or hop on/off as you please or explore by foot. Maximum it’s like 6-8 places to go around to your choice and interest. Yes, it takes half an hour for the buses to come if you are standing in one particular point to go to another point. The weather was good, so if are fine with walking, then that’s the best way to explore the place. All the places of interest are at a 10 to 20 minutes’ distance with a stop for a beer or a hot dog or a pizza. Make sure that you are ready to board the ship before 5:30 pm. By 6:30 pm the Cruise is ready to sail through the night. Once you are back on the cruise, freshen up and get ready in evening wear and venture out for some light music, band, casino, bars, café or just sit in any deck 4,5,6 galleries for centrum view which is amazing. I repeat Don’t miss the theatre shows. Highlight of the day Cruise night party 70’s Retro night, All dressed up in 70’s and the best part is they guide you on dressing. Dance show in the centrum stage. 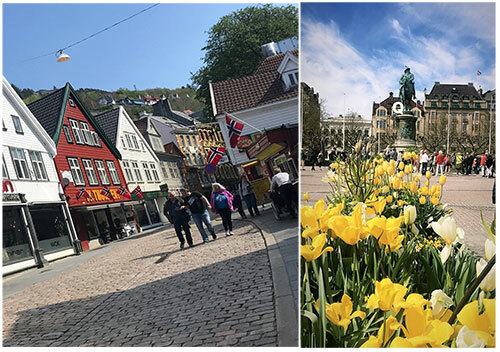 Cruise Day-4 : Bergen – FAIRY TALE PLACE. Sunny Day Smiley day agian - woke up in a new place, colorful scenery outside like what you read in fairy tale books, the streets is full of wooden houses with the mountains as a backdrop, overlooking sea and just embracing you. AWESOME VIEW FROM THE CRUISE. Here we took hop on/off in bus ride to see the city and the most highlighted place Floibaben Fanicular to the top of Mount Floyen. To reach there you need to take a funicular railway one of famous attraction. The train starts from the city center and goes steep up to the mountain and this train experience is something unbelievable, you are approx. 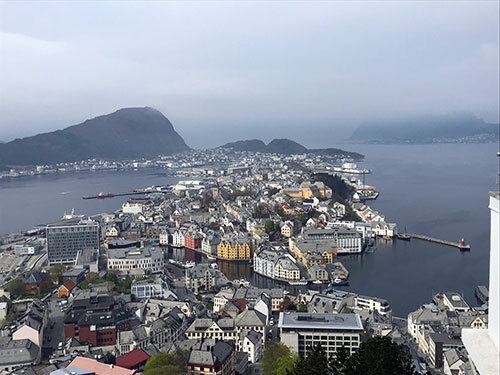 320 meters above the sea level with beautiful view in the sky, the cityscape and fjords surrounding Bergen. Once your reach the top of Mount Floyen, you will not breathe for a second, such is the amazing and incredible view, I felt I missed my heartbeat. Perfect eagle view of Bergen, totally panoramic like a postcard which you can ever imagine. Take your time to gaze the beauty and when you are done with viewing the beauty from top of the mount gallery then walk into the woods, enjoy the tall pine trees, hushing noise of leaves rubbing each other, ups and down of smooth perfect valley roads. You can just run down or climb on the side of small tiny hills between the wood and pose. You will be surprised to see Small water lakes in the middle of the woods. Can you believe there is kinder school on the mountain and where we met a Sri Lankan Teacher as well. Beautiful Garden, play area for kids to play. At Floyen there is also a restaurant, cafeteria and souvenir shop. Do Experience as the saying goes top of mountain feeling with cup of coffee or beer. After a mind blowing experience, now it’s time to explore the town and famous Bergen Fish Market, nothing great though but yeah don’t miss the FISH and CHIPS and SEAFOOD delicacies if you like. Since, had the ticket so Hopped back on bus to cover the city, continued our tour and went around the harbor by-lanes to modern architectural town. Back to the Cruise at 5:30 pm. Tonight in Cruise is a Formal Night and Royal Dinner with captain and crew. We were all dressed up in formal attire to impress and to take picture with the Captain and enjoy the royal dinner, wherein your table and menu is set and an attendant is all for yourself. So Royal. Guest were stood in que to take picture with the captain. Wine was served to all the Guest and we totally enjoyed the Royal feeling and richness of the cruise. Opening ceremony was with a formal night with the ancient musical drama with dance and Captain entering in style and addressing the guest. Later guest was guided for royal Dinner with the table reserved for every guest. Totally 7-star style. Day ended with a smile. Gloomy Day, drizzling a Bit –opened my eyes to an another new place and was ready after a hearty breakfast to venture out, took an excursion from the port and got into the hop on/off train, nice blue and white ancient style train, felt cool going to the heights as 1st stop to Aksla Viewpoint, which is perhaps the best spot to enjoy 360-degree views of Alesund. Enjoyed the cool breeze, viewing point with loads of picture, small classy restaurant to grab a steamy coffee and then just walk down few steps to feel the mountain steep. Unfortunately, being Norway national day, the town was deserted and we could only see closed doors everywhere with no soul on the roads. 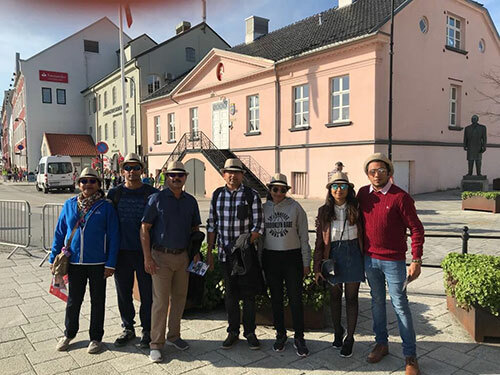 Hop-off to walk into the bylanes of traditional cathedral and houses and we also saw Indian restaurant Taj Mahal Tandoori Restaurant which made us all smile kinda Mera Desh Mahan feeling. Hopped in to some great traditional Norwegian souvenirs shops to take home. All other places were closed and weather being not in favor we decided to board the cruise early before time and chill in Cruise. Cruise night was great with an amazing comedy and juggling show. Last destination of the cruise was a BIG surprise. Our Cruise was literally docked between the mountains and you just move your eyes in panoramic mode and you can have full postcard of amazing snowcapped mountains, clouds covering the mountains peak, waterfalls and you just don’t want to blink your eyes even for a minute. This place is seriously heaven on earth. Amazing nature and beautiful spot from every angle. Highlight is Seven Sisters Waterfalls, a very impressive seven waterfalls after the snow is melting on top of the mountains which breaks through the rocks and run down steep mountain sides, an absolute natural wonder for the eyes. From the port got into hop on/off buses to go on top of the mountain, if you are into hiking and trekking you just need to keep walking upward, basically it is steep road and you will reach the most amazing site. Got down at the 1st stop to see one farm house which we had no idea but knew it was no more an operational farm it is closed but then wanted to check on the beauty on hill top and believe me it was worth that one-hour climb. Both side lush green meadow kinda mowed lawn of green carpet, you can literally roll on the that like a typical Bollywood songs and you reach on top where we met a family running a small café. Had a brewing coffee and took loads of picture. Once back from farm, we touched the road and then started climbing to another viewing point which will take another half an hour and again a breadth taking view on the top of the mountain. Literally felt like an achievement and experienced One of the most spectacular natural wonders in this ONE LIFE. After spending some time on top, it was time to come down so again hop on/off bus since, we didn’t have that energy now to walk down after all the climbing. We were dropped 2 stops down the mountain to Water Fall Walk. Didn’t realize it’s the steps which goes all the way down the mountain from where we stopped. Cannot express what that walk is and wonder suddenly how fresh we became seeing the rushing water flowing down like Milk flowing down from the mountains, the walkway stairs with 327 steps, just go zig zag exactly with the flow of water with no idea where it is going. You are walking over the iron stairs and underneath is all lashing water. If you really want some excitement, walk toward the lush water fall at one point and can experience the whole blow of water and get fully thrilled and wet. Amazing feeling. It took us almost an hour to touch the earth. Absolute combination of wild nature and exciting architecture. They say the whole process of the project took more than 20 years. Howz that!! The peace and beauty is magical when you just grab a coffee and beer from the supermarket down the village which is overlooking the sea and just sit and admire the surrounded mountains. Didn’t feel like going back to the cruise as the time was nearing to board the cruise. Imagine you are sitting right down with the mountains on all sides and the sea in front, I mean where on earth would I find this location to sit in between this nature and just close your eyes and feel the peace. The Geiranger Fjord areas were inscribed upon the UNESCO WORLD HERTIAGE LIST 14TH JULY 2005, These Fjord areas are natural heritage of outstanding universal value to be protected for the benefit of all HUMANITY as engraved on STONE. Life time experience. Will surely recommend this Norwegian belt cruise, it will give you majestic scenery and serene and transports you to a world of bliss. Back onboard, end of the sightseeing with this wonderful experience to take back home. Night party again, you can just roam around and enjoy the clubs, band or theater, we experienced high class magic show. Shopping, Discounts went higher, Watches for 10 dollars, which I definitely owned. After the breakfast as per the itinerary we were supposed to be in centrum at 11 and what an amazing site, CREW PARADE with the flags representing their country, flying high and walking through the gallery of deck 5 to deck 4 including the captain of the cruise. Festive feeling with Music to cheer the guest and entertain. The event was hosted by lady (the director of Event and Entertainment department) with such grace full of enthusiasm and she was feeling so proud and high, telling the guest that they have a crew from 81 NATIONALITIES which totals up to 891 crew members onboard and all of them work with so much of harmony, love and peace. Why the world outside is fighting in the name of country. A great remark indeed. 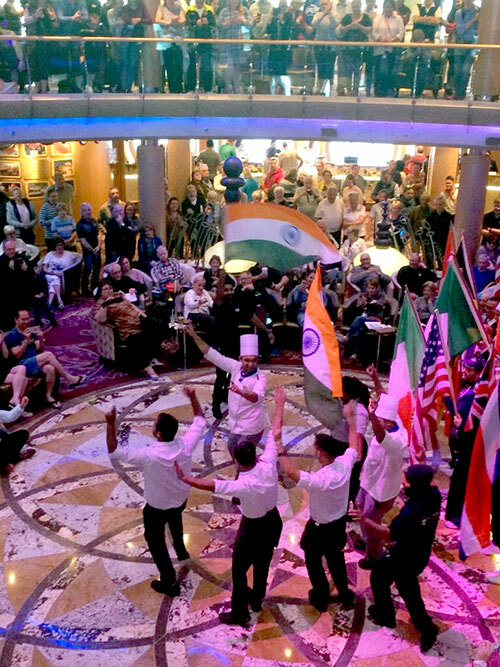 As Indians we got to cheer and dance for our Indian crew which is the second highest in the cruise i.e. 126 Indian crew working onboard which was truly an honor for us. The 1st stood Philippines with 216 crew members onboard. We interacted with many for our fellow citizens and heard their stories and life style staying onboard for 6 to 8 months. The event was truly mesmerizing looking at the joy of crew members. Later in the day, we experience the games, poolside and had lots of entertainment onboard. They also guide you with disembarking procedure, if you want the crew to bring your language to the port then you have to tag the bags and keep it ready outside your room in the evening. The same way as you received when you boarded the cruise. We opted to take our bags with us so that we don’t have go through the whole procedure of 2 hours upon docking. Copenhagen We had our last breakfast on the cruise at 6 in the morning and the exactly at 7 the cruise docked the port as scheduled. We were out with our bags, perfect time management by the cruise. Right outside is taxi stand, cruise team will guide you and then we headed to the airport. All our faces were down when it was time to say good bye to Copenhagen. Cruise Summary: -Cruise is basically a very laid back with no big action, everything is classy and nice. The poolside relaxation, read books, enjoy the open sky, workout, walk, listen to band, music, play cards, theater etc. etc. 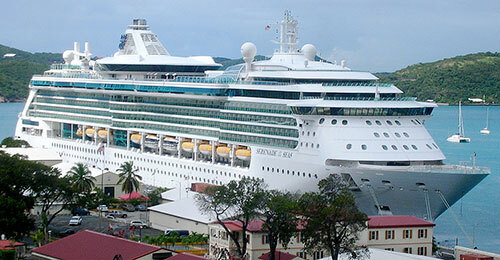 Definitely cruise offers you lots of activity, you should be ready to experience all of that. Basically all elderly people 80% age group from 50 plus, few youngsters may be honeymoon couple and few families with very small kids. For Teenagers not much to do as such since, they might miss their age group. Depending on the cruise route, you can enjoy the places during the day and then night sailing. What to carry – yes, be ready to dress up and feel the moment. You really need to carry few formals for formal nights, evening wear, semi formals and of course sightseeing day you can opt for your casuals, weather permitting. So would really suggest to carry some baggage with some nice attire to capture the moments and look all good. Absolutely no fear of sea sickness, you don’t even feel you are in cruise. Cruise free Services. Morning and Evening housekeeping services, changing towels, making beds, cleaning of cabin, very impressive. The house keeping personnel were very jovial and service with a smile. Food, breakfast, lunch & Dinner; Japanese or Italian or Indian? Savory or sweet? Whatever tantalizes your taste buds, you will get it, they vouch they get the world’s' leading chefs to master craft their menus, bringing all their tastes and ideas straight to their cruise with each ship offering something different, Quick bite to eat, a fun family meal, or an intimate gastronomic 5-course dinner, you will be left more than satisfied whether it is breakfast, lunch or dinner. Again You can actually choose 2 free restaurant looking at their timings and your convenience, the main buffet or private dining with set menu. 24x7 tea, coffee, juices. Paid Services. WIFI, I Know right the most wanted thing on earth presently is not FREE, you have to pay 24 Dollars per day or take a package for 7 days which is again expensive. Would suggest to take a prepaid line from Copenhagen airport though there will be network issue in the middle of sea but you can use on touching the ports. Alcohol: Beverages including beer, wine, hard liquor - you have pay which is between 7-15 Dollars per drink and higher for cocktails. Again a big put off right, but then everything is not free. Then of course the outsourced café and special restaurants you need to pay. 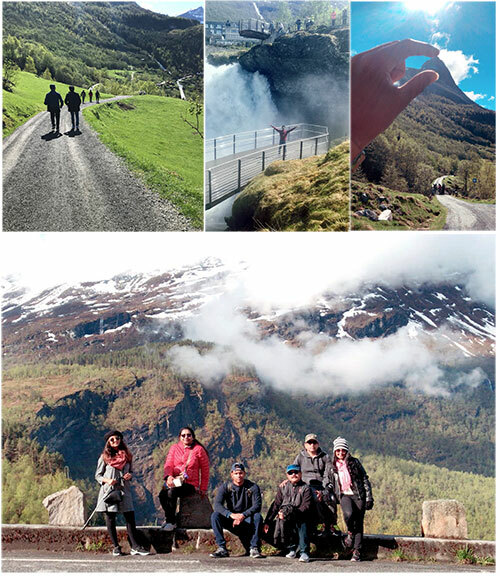 Glad you loved this travelogue and would suggest to go with your beloved and bet you will surely fall in love connecting with nature. One of our family friends joined us from Spain hence, they did the cruise booking through their agent from Spain. Rest all travel ticketing and 2 days prior in Denmark and Spain was all done online. With regards to travel agent in Kuwait , I think you just need to do cruise booking that I guess Ceasers travels in Kuwait does and so do many others. Rest everything can be taken care online. Things are very easy nowadays, just go for it my friend, its lifetime experience. The trip is nicely detailed thanks for that. I too interested in this type of trip. Congratulations on your trip! Thanks for sharing in great detail. I have done a Mediterranean cruise with Royal Caribbean last year. The booze is not costly...They have unlimited beverage package for @40$/day which is quite good considering the vast options and the luxury. Nice write up Reshma, sorta felt we were with you all ... It''s always been my dream to do a cruise, God willing... Yes, it is ideal for Senior Citizen''s. The expensive booze onboard is a bit of a damper... But I guess the superb food balances that..
Its a beautifully written travelogue.. so tempted to include in my "Bucket List".